Compact and easy to stow in a cockpit locker, the CADET holds its own against bigger models. 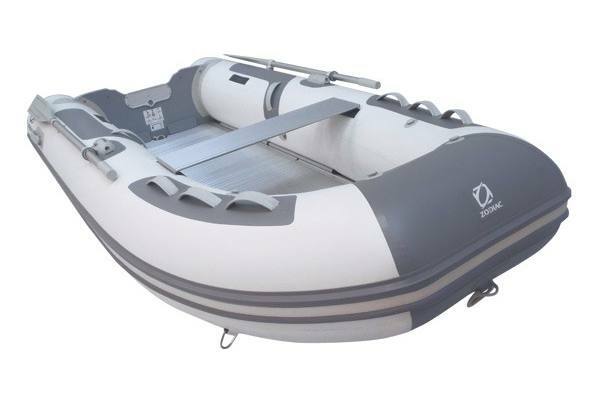 Its progressive-diameter buoyancy-tube provides improved stability. CADETs have an outstanding lifespan and guarantee a high level of safety for their owners (due to the closure of the float welded and to the glued overlap). Choose your floor from an extensive range: the Aero models are comfortable and light thanks to the H2P inflatable floor. The high-performance aluminium-floor Alu series models have an inflatable keel enabling them to plane rapidly and improving manoeuvrability. Fitting the slatted floor in the Roll Up series simply involves inflating the buoyancy tubes; stowage is just a matter of folding it into its carrying bag, no need to remove the slats. The equipment is plethoric and of quality without considering most the Zodiac® patented touch, such as the system of rowlock or the internal command of the self bailor. 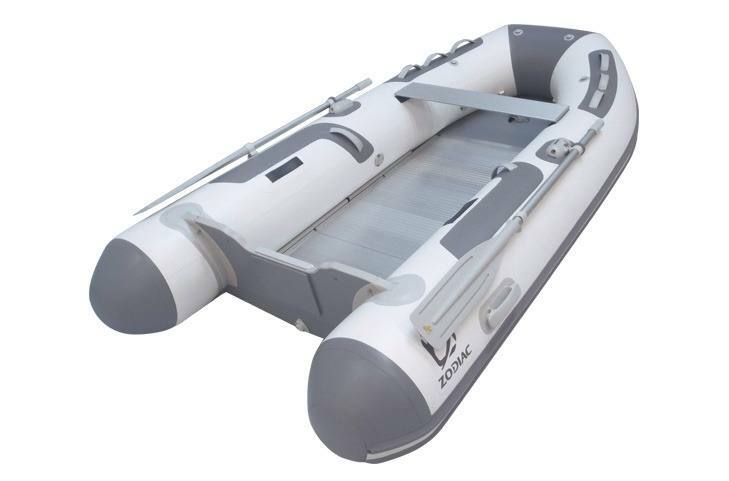 The whole set has an incomparable style, nothing surprising, it is a Zodiac® tender. Length overall: 3.50 - 11 ft. 6 in. Inside length: 2.58 - 8 ft. 6 in. Width overall: 1.72 - 5 ft. 8 in. Inside width: 0.83 - 2 ft. 9 in. Buoyancy tube diameter: 0.45 - 1 ft. 6 in. Length of 1st bag: 1.24 - 3 ft. 11 in. Width of 1st bag: 0.6 - 1 ft. 12 in. Height of 1st bag: 0.3 - 0 ft. 12 in.